"Turquoise Bay" & "Coral Reef". Each 3 bedroom home will sleep 7. 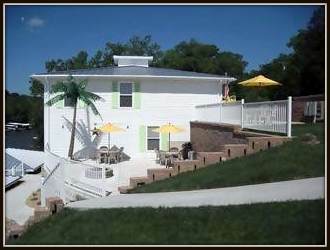 Coconuts White Sands is a large 7 bedroom home for your family vacation, golf outing or fishing. Coconuts is located on the 7MM of the Gravois Arm. During your stay at the Coconuts, you'll enjoy 6 queen size rooms, while the kids play in the 6 bed bunk room. 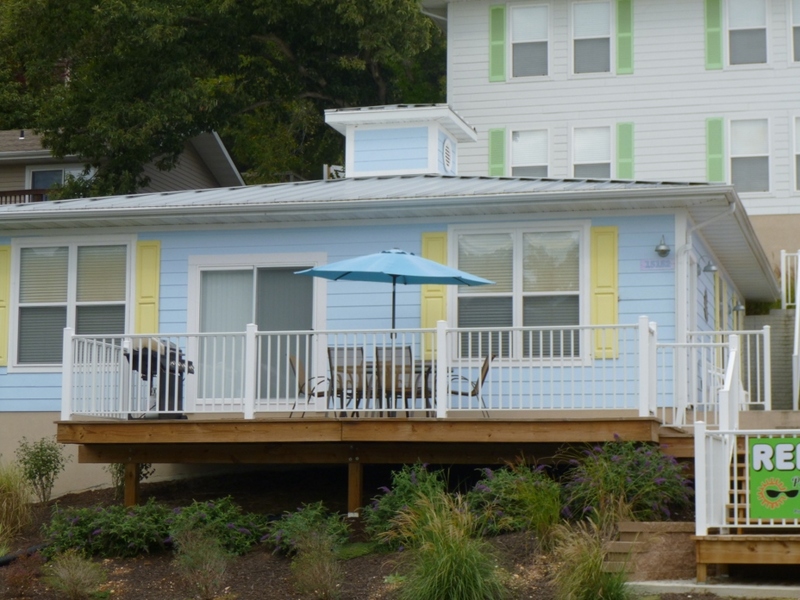 On the water, these contemporary vacation homes are located at the 7 MM Gravois Arm of the Lake. 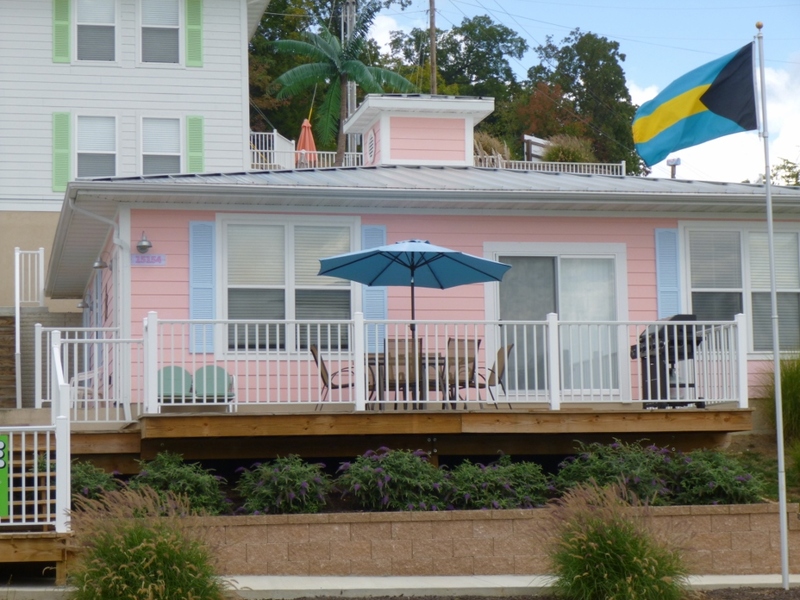 Perfect location for family friendly vacation or couples getaway, and special events on the water. Making it an ideal place for people who value privacy and want time to relax. Spectacular lake views from the patio's. Drink your early morning coffee and take in the sunrise. After a fun day on the water, sit back with someone special and see the sunset. Weekday special pricing (excluding July). Your group can walk to Coconuts, enjoy the sandy beach, while the kids jump on the water trampoline. Adults can enjoy a cocktail in the 'Adult Only' swim bar area during open hours. Four homes are available on property making it an exceptional destination for your family reunion. We can accommodate up to 38. Gather and relax in great family rooms all with flat screen TV's. Homes have queen beds and twin or bunks for kids. Full bathrooms with all your linens provided. Each kitchen is fully equipped with everything needed to feel right at home. Week long rentals have access to a washer & dryer. Patio area has gas grills, tables & chairs. All bedrooms have TV's and WIFI. You will have so much fun, on the 'quiet side' of the Lake. Want to bring Fido? Just call for details on bringing the dog. Not wanting to cook, just walk to Coconuts and enjoy great dining. Oh, the fire pit is a great location to gather around with family and friends at night. Let us help you make this your best lake vacation. See you soon!